Every brand or category has its conventional wisdom. Unfortunately, conventional wisdom becomes so ingrained in our concept of the brand or category that we often don’t acknowledge it, much like the air we breathe. Before strategists can challenge conventional wisdom, they need to identify it. You’ll want to generate a lot of these because a lot of them will inevitably involve sheer physical impossibilities. No matter how cool it might sound, a toilet on the ceiling confounds gravity, except in outer space. After eliminating (again, grow up) the physical impossibilities, focus on the “everyone knows” statements that hinge on social convention. Social convention changes slowly, but it changes. How many of us reared on the legend of the 1960 Nixon-Kennedy debate could have imagined a Republican debate that sounded like a syndicated chat show? Or, to paraphrase Jerry Della Femina, that those wonderful folks who gave you Pearl Harbor would go all-out to sell cars on President’s day? In short, ask stupid questions as intelligently as you can, even about toilets. 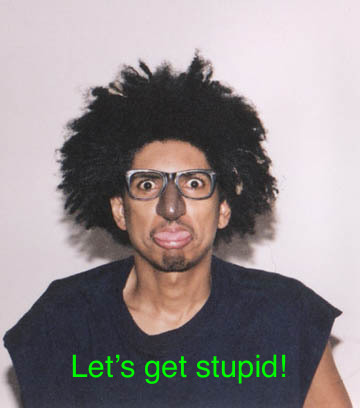 As we all know, Shock-G did get busy in a Burger King bathroom. Happy zombie hunting.